A crown jewel, the 730-acre Trout Brook Valley Preserve (TBV) was saved from developers in 1999 by Aspetuck Land Trust and concerted citizen action including key support from actor and philanthropist and Westporter Paul Newman and his daughter Lissy Newman. The property was purchased for $11.3 million with financial support from the State of Connecticut and thousands of local contributors including Mr. Newman. Before being purchased by Aspetuck Land Trust, the land was slated to be sold to a developer who wanted to build luxury homes and a golf course. It is now a largely pristine landscape with nearly 14 miles of trails, ranging from easy to difficult. The trails take the hiker past dramatic displays of New England nature at its best, scenic overlooks, and lush Apple and Blueberry orchards. In general, the trails slope upward, sometimes sharply, from the Weston entrance to the Easton entrance off Route 58. Two of the trails are designed for equestrian use. Several trails are linked to the extensive trail systems in the adjoining Jump Hill (117-acres) and Crow Hill (162-acres) Preserves which make up a combined land area of 1,009-acres and include a combined 20 miles of hiking and biking trails. Also nearby is the Saugatuck Valley Trail on Aquarian Water Company land. Hunting is permitted in limited areas in season by permit only. Hikers can enjoy a beautiful vista of the Saugatuck Reservoir from the Popp Mountain trail in the Weston Portion of Trout Brook Valley accessible from trail marker #29. The Reservoir was created in 1945, when the river was dammed just north of Devils Glen. What cant be seen is the small village of Valley Forge that now lies 100 feet or so beneath the surface of the Reservoir. In 1760, the first of many iron forges located there, some still operating in the late 19th century. Hike up the steep red trail from the Bradley Road entrance to the lookout at #21 on the orange trail for more stunning views of the valley. UPDATE 2/12/19: We have a new GIS trail map for the 1,009-acre Trout Brook Valley Preserve in Easton and Weston. Simply go to the App Store on your mobile phone and download the Avenza Maps App (available for IPhone and Android) and search Trout Brook Valley to save trail map. Park at the Bradley Road entrance to access the red trail to Popp Mountain and for the orange trail lookout at #21. 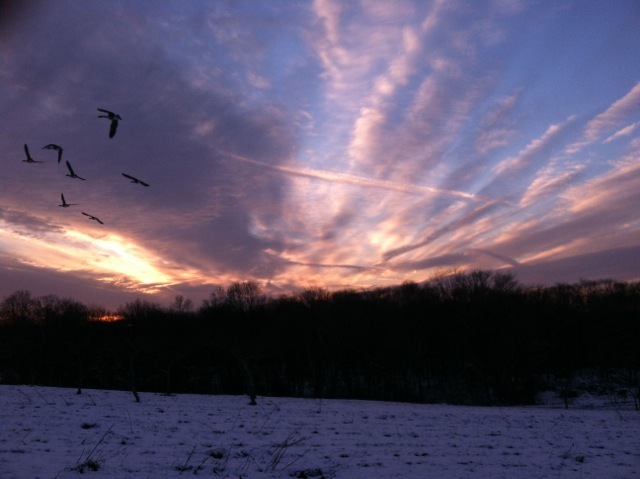 To learn more about TBV and the Land Trust's role in preserving this Open Space... click here.